It’s called the tibial band, and it’s just that. It’s a band that goes down on the outside of the leg. It more or less goes from the hip all the way down to the feet in the way it works. 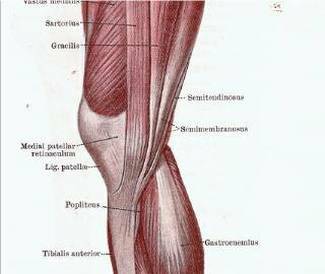 What happens is when the patellofemoral pain occurs in the knee, it can also aggravate what we call tibial pain in the side. That pain is kind of an inflammation. It can make you feel as if your knee is giving way, it can cause severe pain, and it can even go down into the feet and cause difficulty. It’s obviously a concern that needs to be treated. Stretching often helps.